Please click any of the titles to go to a page on amazon.co.uk to buy or see more information about these home education / homeschool books. Dumbing Us Down: The Hidden Curriculum of Compulsory Schooling by John Taylor Gatto. After 26 years of teaching in a public school, Gatto states that even the best public schools teach confusion, peer position, indifference, emotional dependency, intellectual dependency, provisional self-esteem and lack of trust. If you are considering home education or ever wonder why you're home educating, this book is an absolute must. How certain ways of thinking prepare children for learning. Many insights about how we can give our children thinking skills necessary to learn and to face the challenges of everyday life. One-to-one: A Practical Guide to Learning at Home Age 0-11 by Martin Williams et al. A fully illustrated resource book for parents and children working together at home, based upon a sensitive approach to education that recognises that each child has individual needs. Comprehensive sections on reading, writing and arithmetic, plus extensive practical advice on gardening, cooking and crafts as after school and weekend activities. One-to-One is a practical guide and reference book for parents who want to help their children enjoy the early years of their education. It is relevant both to children who attend school and also to those who learn at home full-time. Comprehensive sections on learning to read, learning to write and arithmetic, show how these subjects can be taught in such a way as to encourage a child's enthusiasm for learning by making every aspect of it enjoyable. Sections on art, cooking, gardening and crafts give practical advice on how these activities can be employed to counterbalance the stresses and strains associated with school. 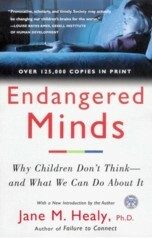 Martin Williams' clearly reasoned arguments lead to some surprising conclusions about the efficacy of many currently popular educational practices but this is not a book that criticises the educational system - instead it is a coherent and practical response to everyday problems, that is within the scope of all parents who care about their children's education.